Unique art glass is our specialty. Stand so close, you’ll feel the heat. Come see the art form that made the Northwest famous, glass blowing. We’re not a museum, but a working hot shop where you can talk to the artists, see the process, and buy gifts of handmade art. Avalon Glassworks’ blowers create unique décor right in front of you. Glasswork is made on-site, inspired by Seattle’s lush, green landscapes and stunning shores. 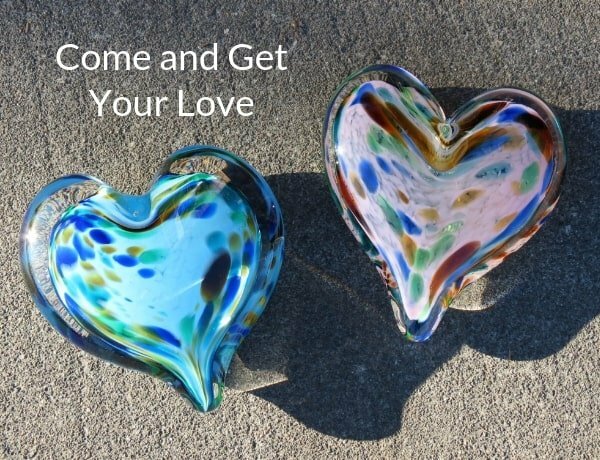 You and your family are invited to watch us work and take home a piece of Seattle’s acclaimed art glass. 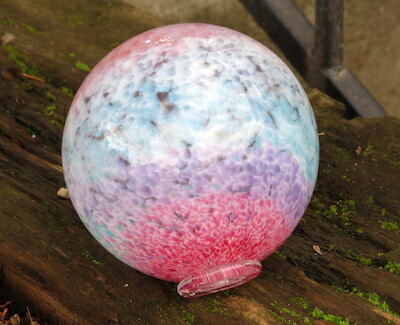 Check our glass blowing schedule for the best times to watch. It’s free to view live glassblowing. Kids and dogs are welcome. Decorative vases, bowls, and sculpture are core products. 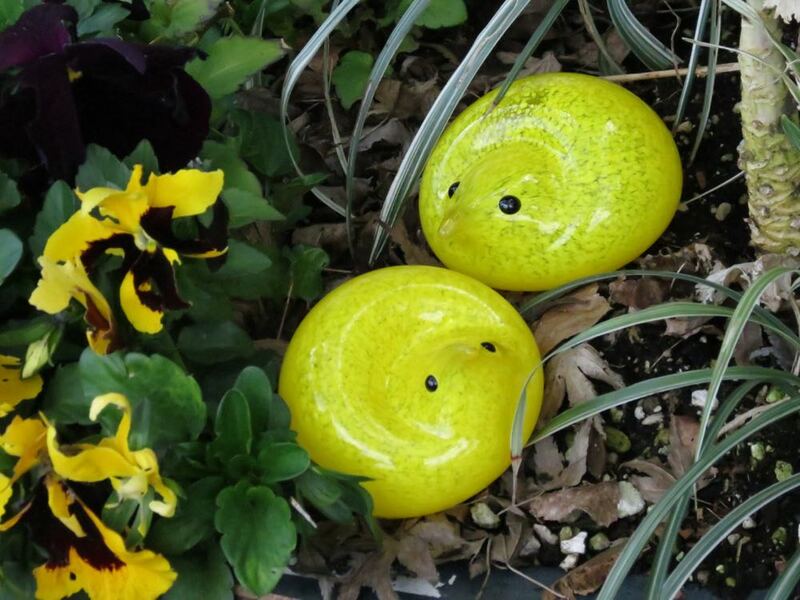 Blown glass balls inspired by fishing floats are popular for decorating home and garden. 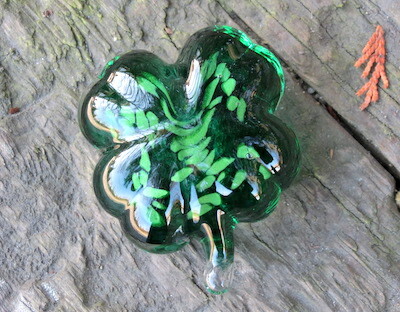 In the Autumn, we have hundreds of glass pumpkins; During the holidays, we offer a wide selection of ornaments and gifts. Find us in the vibrant corner of West Seattle called Luna Park, which is less than 10 minutes from downtown Seattle, at the foot of the West Seattle Bridge. For more info, directions, or to order, email us or phone (206) 937-6369. New for your Springtime table! Cute little Springtime chick sculptures for your Easter table. Each is approximately 3″ wide in bright yellow, pink, blue, or purple with dark glassy eyes. Buy yours below.